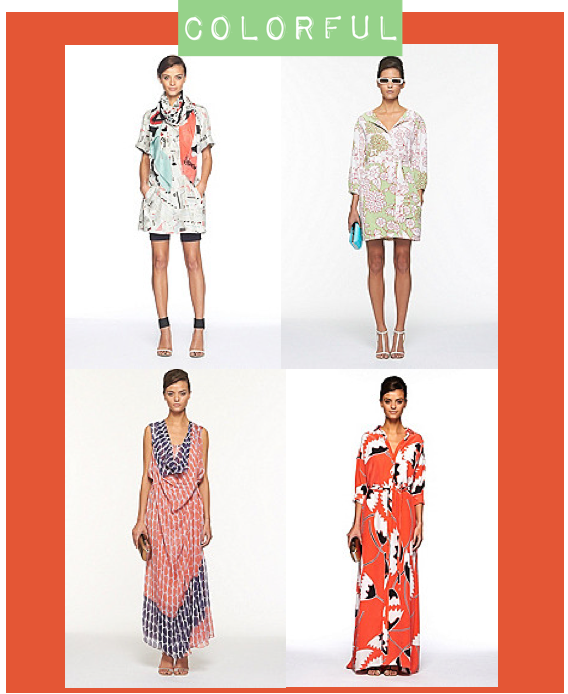 Leave it to the brilliant Diane von Furstenburg to have me head over heels for her whole collection. She's managed to create a collection that varies from black and white print to her signature colorful pieces. I don't usually want every single piece in a collection, but good God almighty...I do now. See? I told you so. I love the various lengths ranging from short, medium, and long...something for every occasion! Not to mention the styling is absolute perfection. Perfectly polished, with a hint of quirk - right up my alley. Shop the collection here. Great collections--I love the black and white! Thanks for your nice comment on my blog and I'm following on GFC. I hope you'll follow back! Love the colorful collection! So pretty!